I am going to focus on trees and pumpkins for this month’s article. Quite a different combination, but both need attention this time of year. There are Many Benefits of Planting Trees. Consider all the benefits listed below, and remember fall is the perfect time to plant trees for an increased success rate next spring. 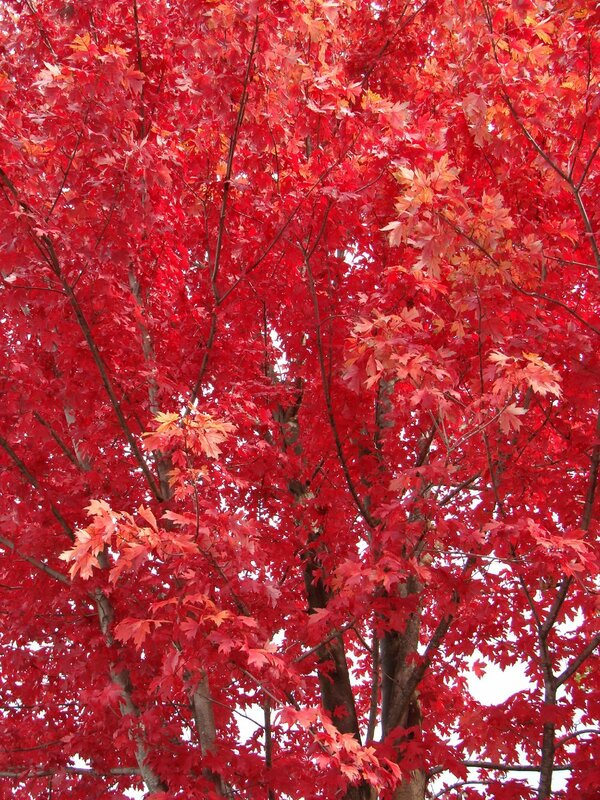 · Trees are perfect for planting as living memorials, or to commemorate significant events in our lives. · Tree lined streets have a traffic calming effect, moving more slowly and safely. · Trees can be placed to screen unwanted views or noise from busy highways. · Trees improve our air quality by filtering ozone, carbon monoxide, and sulfur dioxide from the air we breathe. · Trees give off oxygen that we need to breathe. · Trees reduce erosion and pollution in our waterways and may reduce the effects of flooding. · Trees provide food, protection, and homes for many birds and mammals. · Trees can reduce cooling costs in the summer by shading the south and west sides of your home. · Evergreen trees on the north side of your home can act as a windbreak for winter warmth. · The value of a well landscaped home with trees and shrubs can be as much as 10% higher than a similar home with no landscaping. When selecting a pumpkin choose one that does not have any bruises. Check for discoloration and soft spots. The size will not matter, however, to most children and some adults, bigger is better. If you place a pumpkin in a washtub of cold water, it will absorb the water and become very firm. Cut open the top of the pumpkin and clean out the seeds. If you have fine detail work to do, you may want to let your pumpkin soak overnight. This will firm up the pumpkin flesh and allow you to do intricate carving. You can add a small amount of bleach in the water to prevent mold and bacteria growth. Once you have carved your pumpkin add a thin amount of petroleum jelly on the exposed cut edges. This will help seal moisture. If the pumpkin dries out you can try to revive it by soaking it in a bath of cold water for one to eight hours. You can prepare your pumpkins ahead of time and keep them fresh for a future party or gathering. Wrap them in plastic wrap to hold and store them in the refrigerator. They will stay fresh for a very long time. Once you remove a wet pumpkin for display, dry it off. This prevents mold from having a chance to grow.